Information has to been seen to be effective... Now you can protect it ! 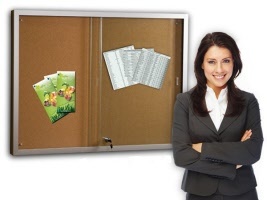 We offer a range of cases to display your all important information and notices in a choice of pinnable, velcro friendly and magnetic whiteboard surfaces. Whether it is for internal or external use we have a case for you. We can supply custom sizes, backgrounds and even frame colours by special order, contact us to discuss your requirements and your free quotation. 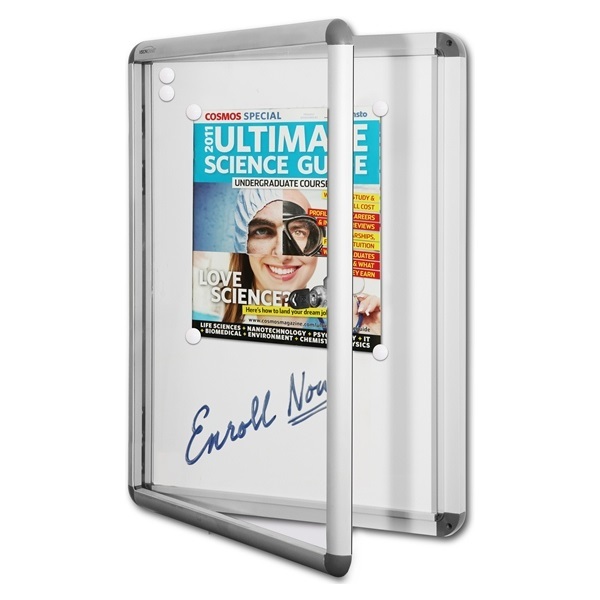 Modern European design hinged door notice case with a whiteboard. 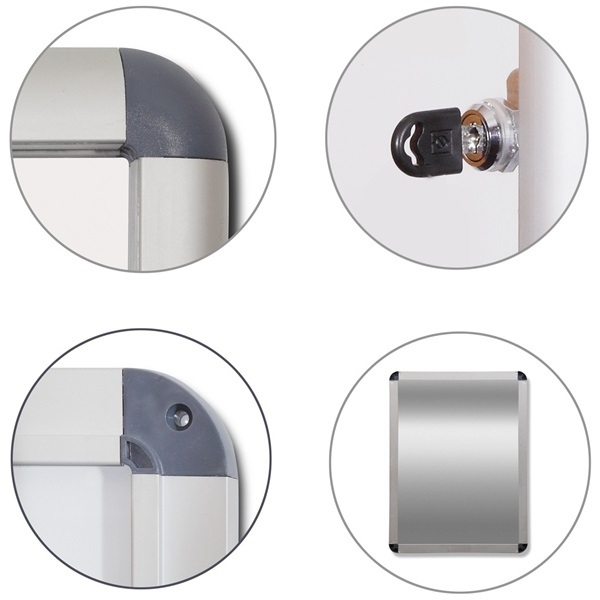 Simply write on the whiteboard or use the supplied magnets to hold paper information in place. 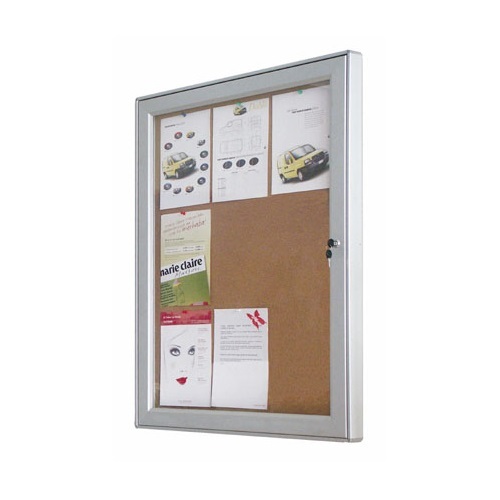 Stylish satin silver aluminium frame with 30mm depth, grey moulded corners and a hinged lockable door. For internal use or covered outside areas. Great looks and amazing functionality... ideal for all external and internal use areas. Stylish satin anodised aluminium frame with 50mm depth and a 70mm face with a hinged lockable door. Each case is manufactured with a internal rubber 'gasket' to prevent moisture and dust getting in. 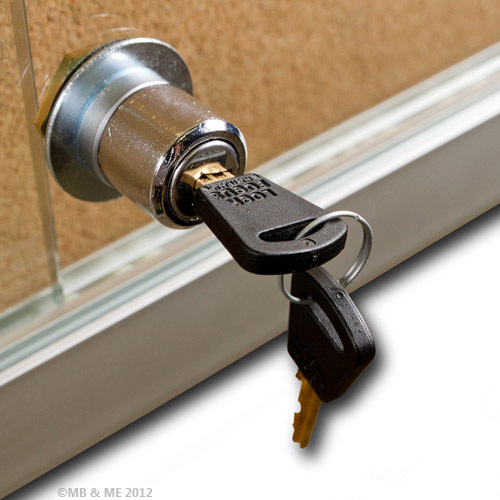 A metal stay is also supplied to keep the door from accidentally shutting on fingers in windy conditions. 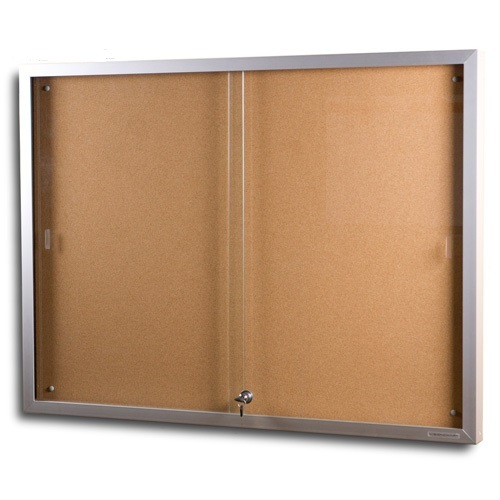 The standard background is a natural cork board surface. Mountable in landscape or portrait format. 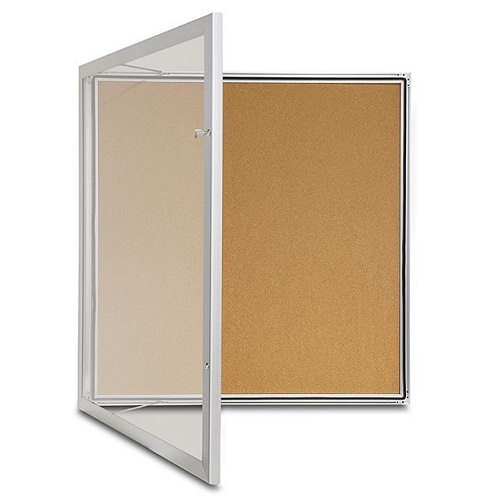 Our Sliding Glass Door Notice Cases ensure important information is visible and protected ! All cases feature a satin anodised aluminium frame with 60mm depth and a 32mm face with 6mm clear safety glass lockable doors. 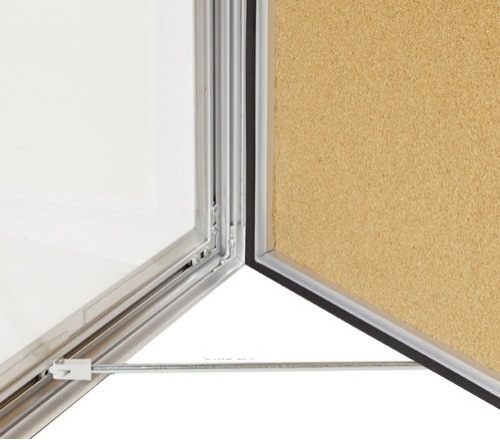 Glass doors feature finger slots and an easy glide nylon ball bearing track system. 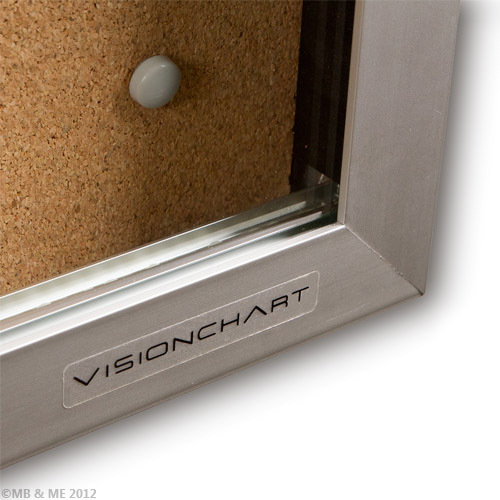 Available with optional pinnable felt and fabric or magnetic whiteboard surfaces.